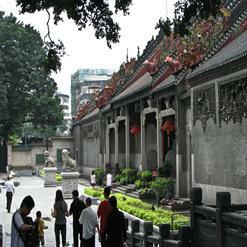 Build in 1957, initiative of the museum was to replicate Wenhua Wall in the Imperial Palace in Beijing. The museum consists of an exhibition hall and gallery space of 300 and 100 square meters each. The palace-style building features various fine art items like gray bricks, green tiles, secluded chambers and upturned eaves. There are more than 10,000 fine artworks hused by the museum like Chinese paintings, comin trips, sculptures, prints, watercolors and so on.